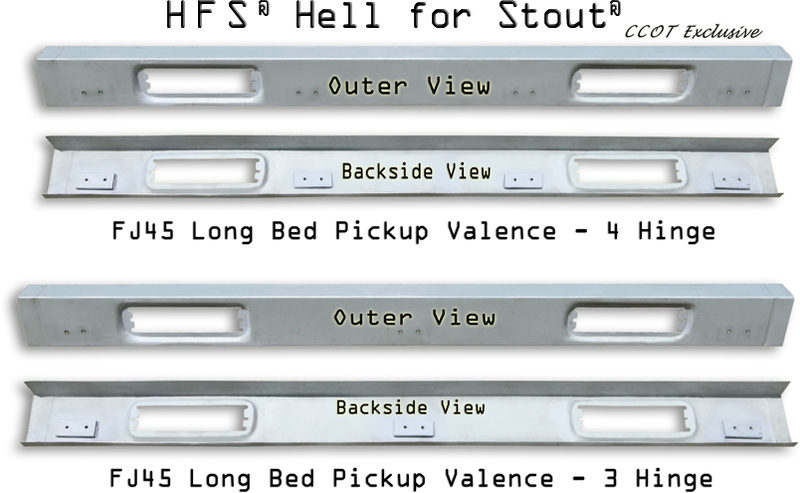 FJ45 Pickup Long Bed 4 hinge Tailgate fits 1978 and older FJ45s. 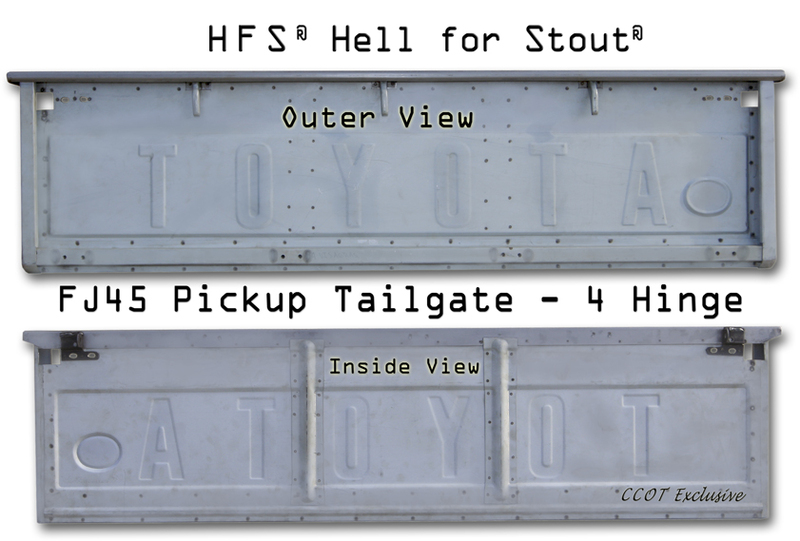 This FJ45 Tailgate is a beautiful replica of the original Long Bed Tailgate. 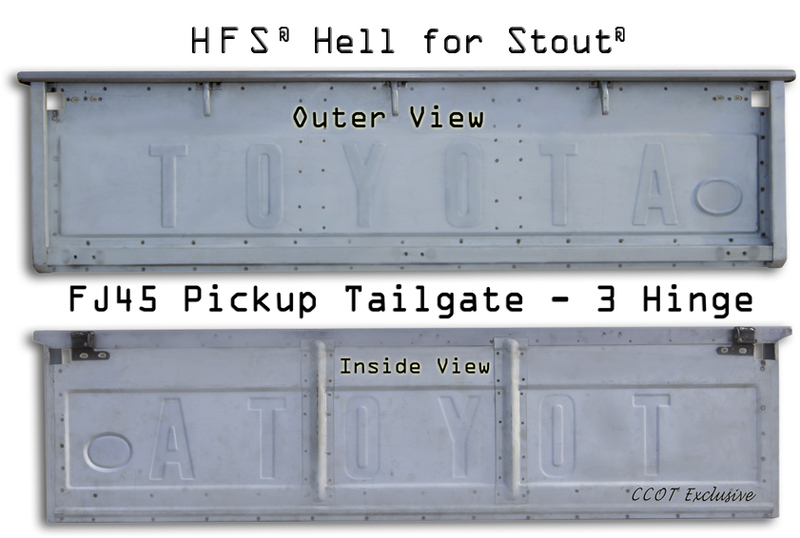 Tailgate is made with heavy zinc coated steel. This is a highly corrosion / rust resistant metal that has a high mix of zinc and is also finished with a zinc coating. Because of the zinc coating the metal does not need to be primed and one could paint directly to the metal. Only the high penetration spot welds would theoretically need to be treated and etch primed. 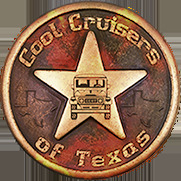 Tailgates are constructed per the original Tailgate in every detail. This is an impeccable replica Tailgate. NOTE: Check tailgate for proper fit before painting. 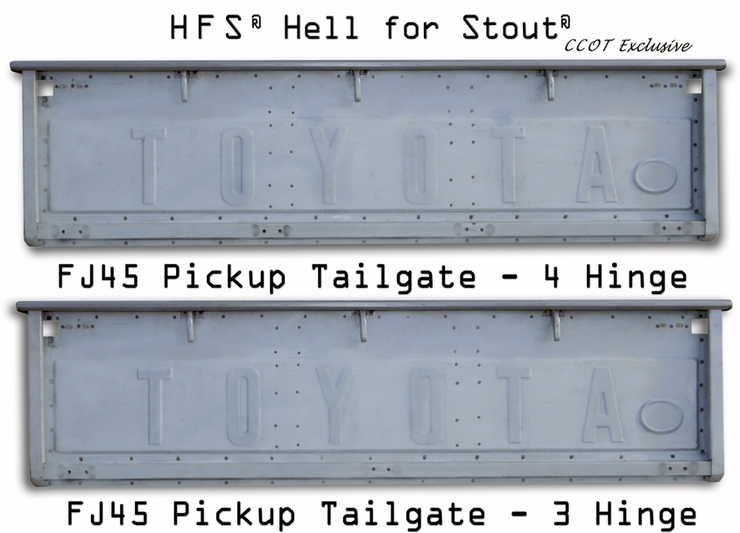 Tailgate fits to valence style shown below. FJ45 Pickup Long Bed 3 hinge Tailgate fits 1978 and older FJ45s. Valence installs under Long Bed Tailgate and fits years '78 and older. This Valence is a beautiful replica of the original panel and includes captured mounting nuts and taillight mounting dens. Valence is made with heavy zinc coated steel. This is a highly corrosion / rust resistant metal that has a high mix of zinc and is also finished with a zinc coating. Because of the zinc coating the metal does not need to be primed and one could paint directly to the metal. Only the high penetration spot welds would theoretically need to be treated and etch primed.